Some of the best bits of skincare are those special products that work immediately in a sort of zap! way. I do love those products that you use daily, and the ones that comfort your skin, but the products that instantly give you results are definitely more exciting. In terms of hydration, stuff like the Origins drink it up intensive mask is amazing and you can see the difference the next morning. I like to look for the same sort of products when it comes to combating blemishes… I want products that make a big difference, immediately. I don’t ask for much, honest. I only ever get those pesky blemishes on my chin, which is good I guess – only one area to target/destroy/whimper about.As soon as I get those unsightly chin bumps, I always stick to this little routine to try and sort my skin out. After thoroughly cleansing and toning, I usually apply an oil all over my face – no more than 6 drops. Just because you have spots doesn’t mean your skin doesn’t need any oil! 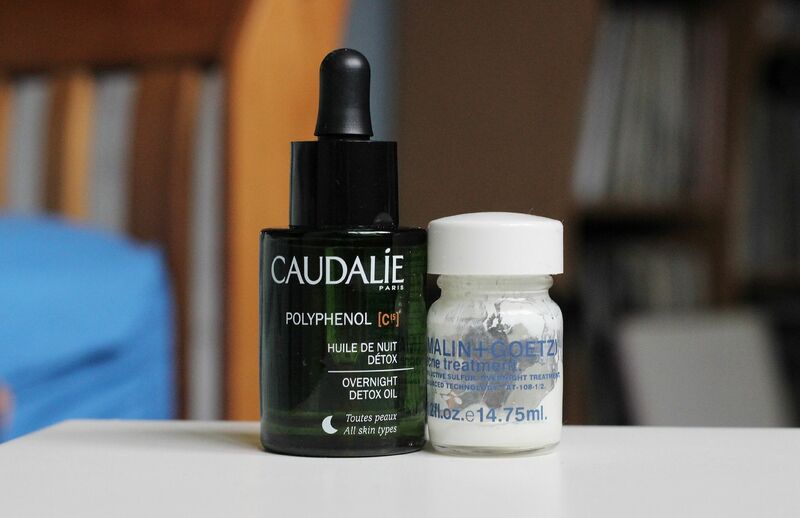 At the moment, I’m using the Caudalie overnight detox oil. It smells amazing, all minty and herbal and it is quite a ‘dry’ oil, and is definitely not greasy or slippery. It leaves my skin all soft and smooth but not overly oily. I spend a few minutes massaging that into my skin, and I apply it over the blemishes. 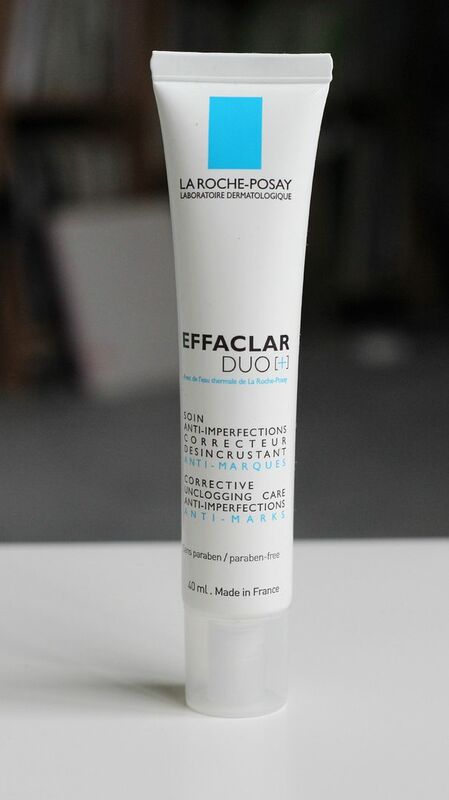 After 30 minutes or so, when that has sunk in I apply my night time moisturiser (Origins night a mins), and then apply the La Rochy posay effaclar duo + just on my chin and nose. It makes skin velvetty matte, and this is such a game-changer.It makes a huge difference. Lastly, on any prominent spots I use a cotton bud to apply the Malin + goetz sulfar paste directly over the areas. It’s very drying, so not to be smeared with reckless abandon. It leaves a white paste-y residue, which obviously looks amazing, but does such a good job at drying up any spots and making your skin look clearer come morning. Those are my little trio of overnight miracle workers… what are yours?